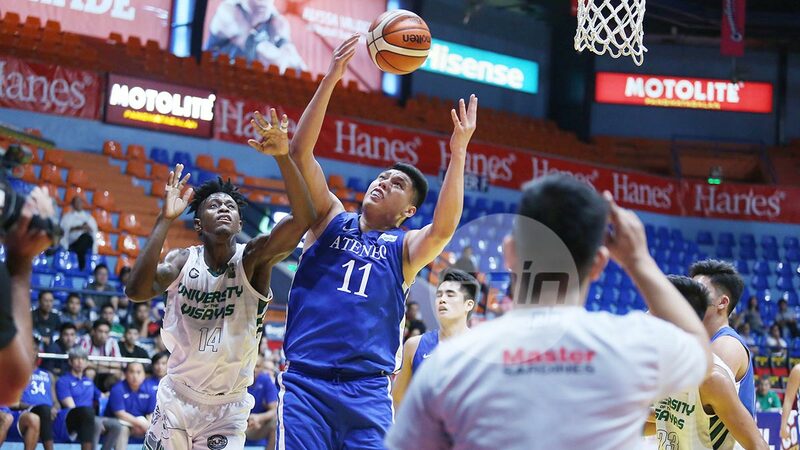 ATENEO disposed of University of the Visayas in dominant fashion, 95-71, to rule the 2018 Philippine Collegiate Champions League President's Cup on Monday at Filoil Flying V Centre in San Juan. Isaac Go did most of his damage in the first half, dropping 12 of his 15 points in that stretch together with three rebounds, an assist, and a steal to stake the Blue Eagles to a lead that held to the end. The reigning UAAP champions ruled the country's unofficial national championship for the fourth time - and first since 2010. BJ Andrade chipped in 13 points while Thirdy Ravena quietly made his impact with 12 points, four assists, and two rebounds. RV Berjay contributed 12 points, five boards, two assists, and two steals, SJ Belangel got 10 points, three rebounds, and three assists, as Ange Kouame was unmatched down low as he went for eight points, 10 rebounds, and two blocks in the triumph. The Blue Eagles looked poised to break the game wide open, 19-8, first quarter, but the Green Lancers clawed their way back in the second quarter, trimming the lead down to eight, 34-28. Go, however, caught fire to give Ateneo a 20-point edge, 52-32 in the second quarter and triggered another run that saw the lead swell to as big as 33, 84-51. Cesafi MVP Rey Suerte led an admirable stand by the Green Lancers, scoring 26 pointsto go with six rebounds, three steals, and two assists. Liberian forward Bassieru Sackor tallied a double-double of 16 points and 12 boards, while Josue Segumpan had 14. ATENEO 95 -- Go 15, Andrade 13, Ravena 12, Berjay 12, Belangel 10, Wong 9, Kouame 8, Mamuyac 7, Tio 3, Credo 2, Ma. Nieto 2, Mi. Nieto 2. UV 71 -- Suerte 26, Sackor 16, Segumpan 14, Delator 5, Gahi 5, Maestre 2, Butohan 2, Cabahug 1, Claridad 0, Saga 0, Amistoso 0. Quarters: 19-8, 52-34, 75-45, 95-71.